Thousands of snow enthusiasts turned out for the SnowBomb Ski and Board Festival held at Fort Mason in San Francisco last weekend. The event had something for everyone including equipment manufacturers, ski resort and hotel operators, and product and trip giveaways. Saturday featured a wine tasting and Sunday a beer tasting. Both days included skateboard and BMX vert ramp demos that were especially exciting because of low support beams that had to be carefully navigated during large airs. Tahoe based companies had a strong presence at the show. Pacific Crest Heli-Guides founder Dave Rintala brings Tahoe it’s first ever heli ski operation starting this season. They will fly out of the Truckee airport and serve terrain from just west of Desolation Wilderness to the Sierra Buttes. Pacific Crest Cat Skiing serves as a reliable backup for down days with nearly 2,000 acres of terrain in Cold Stream Canyon near Truckee. Doug Stoup of Ice Axe Expeditions spoke to potential clients about his Antarctic ski and trekking expeditions. He leaves for his next adventure this Friday. 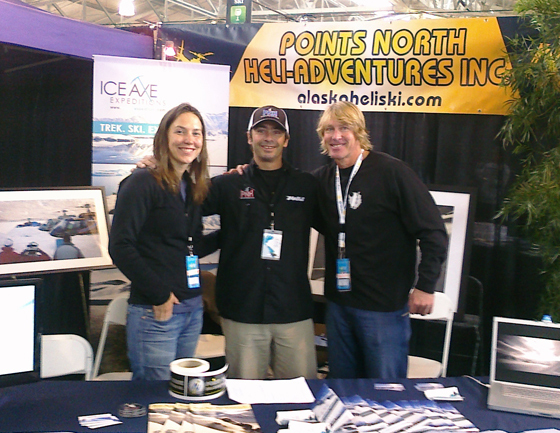 Heli ski guide Jason Mack represented Points North Heli Adventures founded by Truckee resident Kevin Quinn. Jonny Moseley posed for photos, chatted up guests and played WII skiing in the Squaw Valley booth. Squaw Valley is currently revamping the Olympic House and other base facilities in time for this coming season. Across the aisle from Squaw Valley Ski Corp were Squaw lodging properties including The PlumpJack Squaw Valley Inn, The Resort at Squaw Creek and The Squaw Valley Lodge. 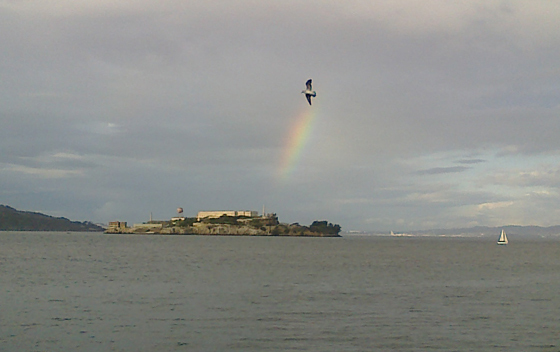 SnowBomb at Fort Mason was a great place for riders to get pumped for the upcoming season. Taking a break from the show was a pleasure as stepping outside provided fantastic views of the Golden Gate Bridge and Alcatraz Island. The SnowBomb energy continues November 13 and 14 at the Santa Clara Convention Center.